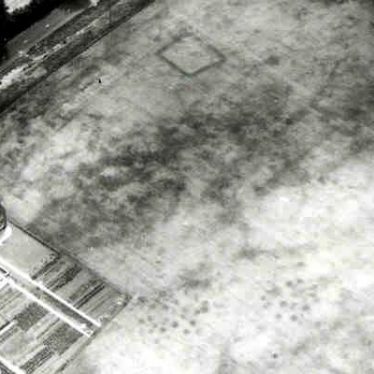 Three undated enclosures and a cluster of pits are visible as cropmarks on aerial photographs. They are located 450m north of Salford Priors. An enclosure and pits can be seen as crop marks on aerial photographs beside the Small Brook to the south of Bidford on Avon. A Neolithic settlement was found during an archaeological excavation. Pit clusters and post holes, possibly representing a rectangular building, were discovered. Flint artefacts, including an arrowhead, and pottery were found. The site was located near Brook Street, Warwick. A pit cluster was excavated and was found to be a series of stake holes and gullies. These are believed to represent one oval building and part of a rectangular building. The site may be Neolithic in date and is located 300m northwest of Bushey Hill. Explore Pit Cluster around Warwickshire. This map shows markers for every photo, article, historic site and catalogue record within the Pit Cluster category.